Massage therapy is the manipulation of soft tissue and muscles of the body to improve function and promote relaxation and overall well-being. Most commonly massage is used to alleviate muscle aches due to acute or chronic injuries, postural distortions and repetitive stress associated with on the job strain. 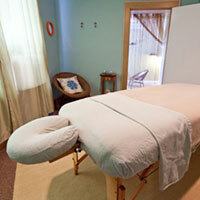 Massage is also a great way to decrease mental stress. We are constantly over-stimulated and our nervous system feels the brunt of this. If we allow ourselves time to calm and decompress from the stressors of day to day life, we will provide our bodies a chance to cultivate its natural internal healing processes. Incorporating massage into your regular self-care routine can help reduce acute issues turning into chronic ones, be a means to handling stress and symptoms associated with chronic stress and better the quality of life as a whole. My clientele varies in age and health conditions. I’ve worked with kids as young as 8 years old; teenagers dealing with discomfort from team sports or working thru stress and anxiety; adults with chronic pain, trauma or injury, general stress related issues and also professional athletes. I also travel throughout the year with the Women’s National Soccer team as a team massage therapist. Whether you are an athlete, corporate business person or someone simply interested in taking care of themselves, I will work with you in personalizing your massage to address your specific needs. I have been a NC licensed massage and bodywork therapist since 2003 and studied at the Body Therapy Institute in Siler City, NC. Prior to my work in the massage field, I received my Bachelor of Science degree in Exercise and Sport Science from East Carolina University. After earning my degree at ECU, I worked for two years at Duke’s Center for Living Fitness Center in Durham, NC. There I instructed a variety of fitness classes, developed exercise programs for members and worked in the Human Performance Lab assisting with health screenings and stress testing. From the knowledge and experience I gained with my degree, working at Duke and going deeper with my studies in massage therapy, I have a great understanding of body mechanics; how the body guards and compensates when out of balance; and how to incorporate exercises and increase one’s body awareness to correct these distortions. Practicing yoga has also added to my learning of alignment and balance within. I am always excited to share my love and knowledge of this work with my clients.